The days may be getting shorter, but the home-shopping benefits are growing. After months of oppressive summer heat and humidity, autumn is a welcome relief; cool, crisp air and the colorful oft-changing landscapes. But it’s not just the cool weather and football season that makes fall one of the best times of the year. It can also be a great time to purchase a home. 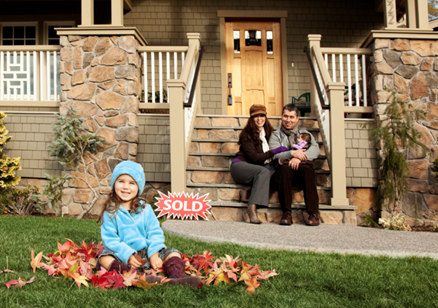 Here are seven reasons why it makes sense to shop for a home this fall. Lower Home Prices. According to analysts at RealtyTrac® (realtytrac.com), who reviewed more than 32 million real estate transactions from 2000 to 2015, there are several reasons why October is the best time to buy a home. The period after back-to-school season and before the holidays is generally slower, so sellers are more willing to negotiate. And the data proves it. RealtyTrac cites that buyers were able to purchase a home at an average price of 2.6% below estimated market value during October. Motivated sellers. By fall, sellers who were “testing the waters” with a listing in prime selling season are either eliminated or are now serious sellers. These motivated sellers often want to complete a sale before the end of the year, so they can be settled into a new home before the holidays. Living “in limbo” for several months can be exhausting and provides another motivating factor. The longer a house has been on the market, the more likely a seller is willing to negotiate on everything from price, to closing costs, to move-in dates. Less competition. Families who want to be in a new home by the beginning of the school season are no longer shopping at this point, which means less competition. That translates into more opportunities for buyers. Taking out an entire segment of the housing market provides Millennial, single, and Baby Boomer buyers some breathing room. Year-end tax credits. Homeowners can deduct certain expenses on their tax returns, including closing costs, property taxes and mortgage loan interest. Even if a homebuyer closes on a home in November or December, they can still write off qualifying expenses when they file their taxes in the spring. Cool weather exposes systems issues. Fall and winter are one of the best times for property inspections, as the rainy weather reveals home flaws. It’s better to see these flaws before making an offer instead of facing unwanted surprises months after closing. More quality time with your real estate team. In the spring or summer, agents tend to be very busy with a lot of clients. In the slower months, real estate agents may be able to devote more time and attention to each client as demands on their time may be less. Home improvement bargains. Once you close on that home you found in the fall, you may want to upgrade your appliances. Luckily, December is when major appliances—refrigerators, stoves, washers, and dryers—are at their very cheapest, according to Consumer Reports. It's also the best time of year to buy cookware and TVs. So, if going through the process of home shopping, moving, and settling in to a new home around the holidays doesn’t scare you off, then the benefits of buying in the fall are worth considering! Adapted from an article on Forbes.com.